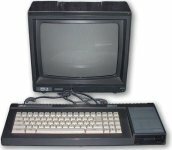 Popular in Europe, this machine featured 128K of RAM and a rather unusual built-in 3" floppy disk drive. It was almost completely compatible with the earlier CPC 464. 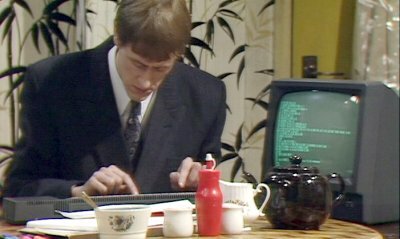 Rodney studies for his computer diploma using the CPC 6128. 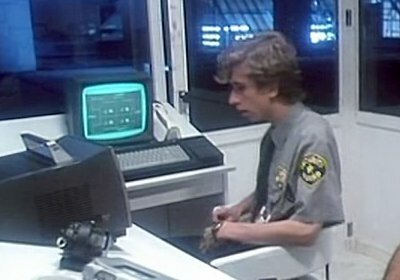 A CPC6128 acts as the security system at the Reeve's Foundation, where the Mandroid goes to get assistance from Colonel Hunter. 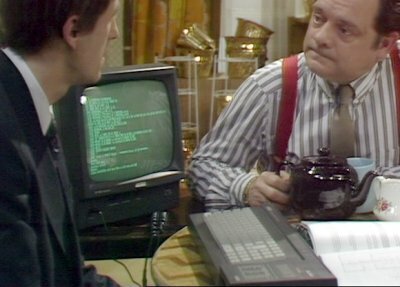 Rimmer hides inside a table and pops out to talk to the 3 million year-old version of himself. Next to him on the table is a magazine with a prominent photo of a 6128. This magazine with have to be some sort of prized antique.